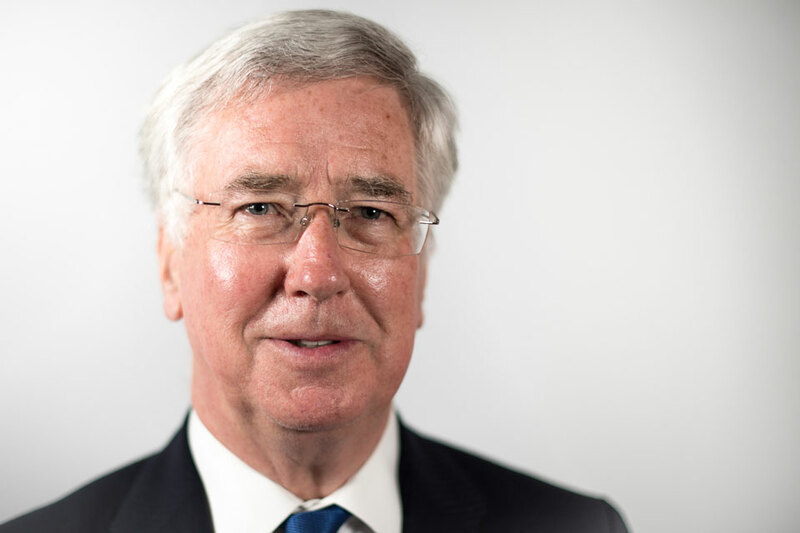 Speech by Michael Fallon, Secretary of State for Defence. The army occupies a special place in the nation’s heart, look at the Armed Forces Day celebrations in Guildford this weekend. Flags were raised across the country, the army took the salute in town centres while local people young and old turned out in force to cheer them on with pride. The reason for the army’s enduring popularity, something politicians can only dream of, is that the public know implicitly when a crisis occurs you will be there defending Queen and country. That iron determination and dauntless courage has been a thread running throughout history. This year, the 200th anniversary of Waterloo, we remember Trooper Shaw. The bare knuckle fighter who. weapon-less, used his helmet to dispatch a foe. I don’t know what effect these men will have on the enemy, but by G-d, they frighten me. 99 years ago this very day we recall the hundreds of thousands who went over the top in that monumental Battle of the Somme. Yet it’s not hard to find their equals today. Acting Sergeant Dipprasad Pun fought off 30 Taliban insurgents using only sandbags and tripod after his ammunition ran dry, for which he received a Conspicuous Gallantry Cross. Lance Corporal Josh Leakey received his Victoria Cross in April for sprinting 3 times under heavy machine gun fire to evacuate casualties, return fire, and turn the tide against the Taliban. And there are many others. I recall on my own visit to Bastion, looking at those names listed on the war memorial which is now in Staffordshire, spotting the 11th name on that wall, Lance Corporal Jabron Hashmi. A Muslim soldier from the Intelligence Corps who made the ultimate sacrifice but did not live to see 7 million Afghans vote in a democracy last summer, who probably didn’t know that our streets are safer here. As the shocking events in Tunisia remind us we’re living in a darker world. We can’t defend our country without having a strong army. That was why we committed in our manifesto to maintaining the existing size of our Regular and Reserve force. Yet the question that concerns us here is what the army’s future role should be. And I believe the work underway in the 2015 Strategic defence and security review can frame our discussions. The SDSR is reviewing the threats we face to assess the capabilities we need and to consider how best to deploy our defence, diplomacy, development aid and homeland security. Three of its emerging themes should shape our Army’s future thinking. First, the review is focused on productivity. Despite going through immense change, the army continues to do an immense amount. I’ve seen you construct treatment centres in Sierra Leone to contain the deadly Ebola outbreak, spoken to those providing humanitarian aid in Nepal, watched troops training the Peshmerga in the mountains of Iraq, met those mentoring Afghan forces in Kabul. This year alone 46,456 soldiers have been deployed on commitments in 40 countries, yet we cannot expect the threats we face to diminish. That means we must work smarter. That process is already underway. Within the army you’re separating policy from delivery, freeing up your people to operate more effectively. You’re streamlining processes and straightening out accountabilities, bringing more clarity and simplicity to the way you work. And you’re doing more to give people a leg-up the career ladder. Yet the army of course doesn’t just need to tap the talent within it, it must attract it from without. Careers must be determined by ability. Again we’re seeing progress. You’ve set up a forum to reach out to potential Muslim recruits and promote mutual understanding with our army’s Islamic advisor visiting Sierra Leone to meet and educate local leaders on the dangers of Ebola. Women are now piloting Attack Helicopters and, in the case of Brig Sharon Nesmith, commanding their own Brigade. And last weekend the largest contingent of soldiers marched at Pride, supported by Commander Land Forces and the Army Sergeant-Major, as the Rainbow Flag flew over MOD. Fifteen years ago it was an offence to be gay in the army. Today Stonewall ranks the army 46th in its top 100 list of gay friendly employers. But, when the proportion of women in the army is just 9 per cent, while the proportion of ethnic minorities 10.2 per cent, we still have some way to go. Meanwhile, the army must also focus on getting more out of our whole force, our partners in industry as well as our reserves, regulars and civilian staff. The £900 million 10-year contract that the army signed with Babcock last year provides a model for the way ahead. Babcock will now provide Defence Support Group with engineering and fleet management expertise to maintain, repair and store the army’s vehicles. A smart solution, saving the taxpayer £500 million over 10 years. Upping our capability and allowing the army to concentrate on what it does best, delivering effect in the field. If productivity is key to the army’s future, so too is innovation. This is my second point. The previous SDSR recognised that the army needed to be more agile and flexible to take on multiple, concurrent, threats. The result was Army 2020. To get this innovative concept off the drawing board, meant many tough decisions had to be taken. Yet, having set up Forces Troop Command, established command and control at division level, sorted out the right mix regulars and reserves and brought in adaptable brigades with a greater capacity to deal with challenges right across the spectrum, we’re now seeing our future force emerge. It’s a force better prepared, and it’s better equipped. And that’s because we have set aside more than £160 billion for its equipment plan, allowing us to bring urgent operational requirements such as Foxhound, Huskey, Mastiff back into the fold and place the biggest new army order in a generation for the cutting-edge Scout army. Today I can announce we have signed a £150 million contract to fit the Scout with a new cased telescope cannon, providing it with unrivalled firepower and a new ‘airburst ammunition’ capability. Scout is a vehicle not only fit for our fleet but fit for our future force. Yet innovation is as much about tactics as technologies. The army has already recognised that the one-size-fits all pattern of 6 month and 24 months cycles, such an enduring feature of the Afghan campaign, is not fit for purpose in a new age of contingency. So today it generates force dependent on the nature of the task at hand. This week our army is showing its flexibility by practicing its response to a potential Mumbai-style attack in multiple locations on London’s streets. Four hundred personnel will be taking part in this exercise that began yesterday. The advent of hybrid warfare, cyber attack and strategic communications have changed the rules of the game. Just as the army adapted to the Taliban’s low-fi war, it must accommodate itself to the high-tech wars of the future. In this conference you’ll have heard about 77 Bde. They are the army’s advance guard, part of their job involves striving to be masters of the narrative. Debunking the dangerous myths and misinformation spread by our adversaries and harnessing the power of social media and the internet to deliver what I call ‘a faster truth’. Productivity and innovation matter if we’re to keep delivering on a global scale. So internationalism is the third SDSR area where the army must focus its future thinking. There is simply no question of the UK riding out the storm when a gunman slaughters innocent tourists on a Tunisian beach, when ISIL continue their murderous rampage across Syria and Iraq, when failing states in Africa fall prey to insurgency triggering large-scale migration, when Russian expansionism threatens our Eastern European backyard. When the rules-based system under which states live and trade with each other is under increasing strain we must defend it with all our might. Global problems like these require global solutions. In fact, our location today reminds us of the value of international partnerships, since it was here the first meetings of the United Nations Security Council took place. When it comes to international co-operation, our world-class army gives us unique clout. Our allies, many here today, know they can rely on Britain to stand up for what we believe in, to deliver a division into the field at readiness and, when occasion demands, to deploy by their side. That willingness to act was something I discussed with Ash Carter at the recent NATO ministerial meeting. In Eastern Europe we deployed 3,000 soldiers on the ground this year, conducting NATO immediate assurance measures and standing shoulder to shoulder with our Polish, Lithuanian, Latvian and Romanian partners. And we’ve stepped up our programme to provide medical, infantry logistics and tactical intelligence training to the Ukraine. There’s plenty more to come. The UK will be contributing 1,000 troops to NATO’s Very High-Readiness Joint Taskforce every year into the next decade and working alongside our French friends as part of the Combined Joint Taskforce that we hope to declare operable next year. But there’s a final element to our international activity. In the days of Waterloo, the army was all about war fighting. Today we expect our army and our soldiers to be frontline ambassadors as well as fighting forces, wielding soft, smart as well as hard power. Our national security depends not just on treating the symptoms of instability but its causes too. Better to reap the reward of early defence engagement than the whirlwind of later conflict. So defence engagement will remain central to our task and I’m looking to our army, with its seven regional brigades aligned to regions across the world from North Africa to South East Asia, Eastern Europe to the Gulf, Belize to Bermuda, to spearhead that response. Making the most of your global insight to increase our intelligence, strengthen our international friendships and extend our global reach. Building up our capacity to head off trouble down the track. And whether delivering counter-terrorism training over 10,000 soldiers in 23 countries, whether offering Nigeria assistance in countering Boko Haram or sending a delegation of Muslim personnel to Saudi Arabia to show that being Muslim and part of the British Army is perfectly compatible, it’s clear the Army is no longer playing tunes in a minor key but conducting activity of major importance. I began by recalling those great soldiers of Wellington’s day, let me end by reflecting on the troops under your command. Unquestionably as brave and committed as their regency counterparts, yet multi-faceted too. Able to play the diplomat and ambassador as well as the soldier. But our army’s challenge, today, and tomorrow is to make sure the next generation of recruits can keep pace with the times. Becoming ever more diverse, ever more skilled and ever more versatile, showing our citizens, allies, and adversaries alike that the UK packs the global punch that is needed to deter danger, wherever and whenever it comes.